Amber Vermeesch, PhD, MSN, FNP-C, RN, has been a practicing family nurse practitioner for over 10 years. She has spent the majority of her practice serving underinsured and vulnerable populations. She completed her master’s in nursing at Vanderbilt University School of Nursing and earned her PhD in nursing science from the University of Miami where she focused on the reduction of healthcare disparities among Latino populations. 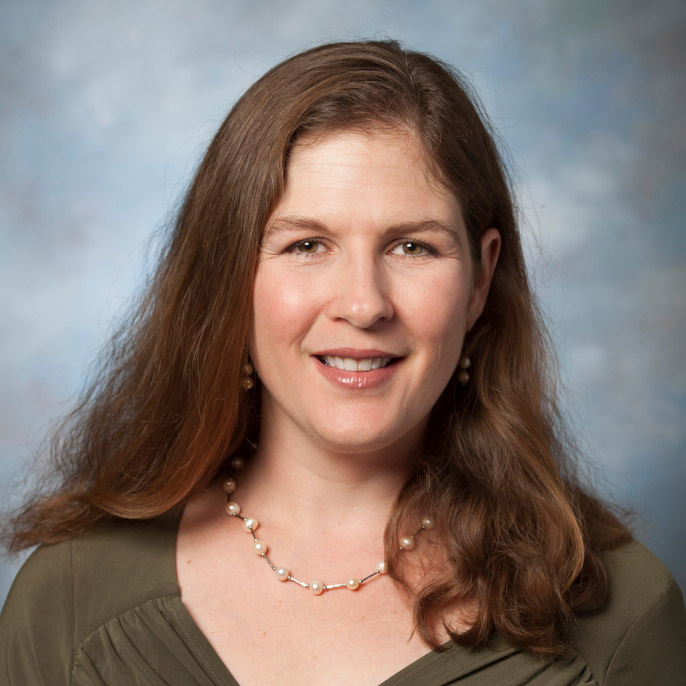 She joined the University of Portland as an associate professor in 2014 teaching in both graduate and undergraduate programs. Amber currently teaches nursing of families. When not in class, she conducts site visits for the doctor of nursing practice program, works with seniors in their last semester during their capstone experience and is involved in the undergraduate program curriculum revision. Her overall area of expertise is wellness, both physical and emotional. Her investigations have concentrated on physical activity as a means of obesity prevention among vulnerable populations, stress reduction and health promotion among undergraduates and graduate students as well as faculty and staff, and developing cultural sensibility among nursing students of all levels. 2015 – present - University of Portland Dexheimer Leadership Fellow as a Leadership Coach in the Franz Center Leadership Programs. Coaches work with students through their developmental leadership journey as part of the Leadership Certificate Program and the Faith-Based Leader Program. 2015 - Selected to participate in the Oregon Nurses Association (ONA)’s inaugural Nurses Leadership Institute (NLI). The NLI is designed to assist participant in gaining knowledge and skills for a leadership position in ONA focusing on advocating for the nursing profession.